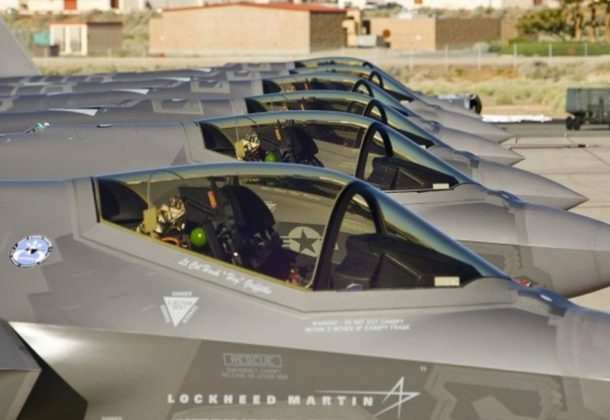 US Senate votes to block Lockheed’s deal to sell $10 billion worth of F-35 fighter jets to Turkey as part of a $716 billion defense policy package, reports Investors Business Daily. Pentagon officials fear F-35 secrets are at risk given Turkey’s decision to buy the Russian S-400 air defense system. President Donald Trump signed an executive order Wednesday ending his administration’s policy of separating migrant families crossing the US-Mexico border, abandoning his previous stance that only Congress could fix the problem, reports Politico. The former commander of USS Fitzgerald (DDG-62) and two junior officers will not face negligent homicide charges for their role in a collision off the coast of Japan that killed seven sailors last year, USNI News reports. Ship commander Cmdr. Bryce Benson and Lt. Natalie Combs will face charges that include negligent hazarding a vessel and dereliction of duty resulting in death. Lt. Irian Woodley, who was on duty with Combs, had all criminal charges against him dropped and will instead likely be separated from the Navy following a board of inquiry. Virginia joins Massachusetts and Maryland in removing National Guard troops from the border due to the Trump administration’s policy separating children from their parents and guardians at the border, reports Pilot Online. The Hill reports that Senate Republicans are moving to end the political crisis with narrowly directed immigration legislation. BAE Systems will make the Marine Corps’ new amphibious combat vehicle to replace aging amphibious assault vehicles, reports Military Times. Several contract options worth up to $198 million will be awarded to BAE to build 30 low-rate production ACV 1.1 vehicles to replace some that have been in service since the 1970s. BAE and SAIC had both bid on the project, reports Breaking Defense. Army Lt. Gen. Austin Scott Miller, the new NATO commander in Afghanistan says he sees progress, reports Military Times. While acknowledging that 17 years of war “is a very long time,” the incoming head of US forces in Afghanistan told lawmakers he sees progress in the ongoing fight, an assertion questioned by a recent inspector general report to Congress. Miller’s comments drew skepticism from several members of the Senate Armed Services Committee, who expressed confidence in Miller, but also concerns with the ongoing Afghanistan mission. Super “bad” British SAS sergeant kills three terrorists with his Glock 9mm pistol and three more with a claw hammer in pitch black tunnel clearing operation in Afghanistan, reports Military Times. Working for Master Chief Petty Officer of the Navy (SG/IW) Steven Giordano “was like working for a pop star or Hollywood diva,” according to a subordinate commenting on a Navy inspector general investigation that has led to the Navy’s top enlisted leader taking leave amid allegations that he fostered a hostile work environment in his Pentagon office, reports Navy Times. GE booted from the Dow, to be replaced by Walgreens, reports CNBC. GE was one of the original components of the Dow Jones industrial average of 30 stocks in 1896. Walgreens recently replaced CVS in Tricare’s pharmacy network. General Technical Services LLC, Wall Township, New Jersey, was awarded a $13,394,728 cost-plus-fixed-fee contract for research and development, soldier tactical/expeditionary power and energy generation services. Bids were solicited via the Internet with four received. Work will be performed in Aberdeen Proving Ground, Maryland, with an estimated completion date of June 19, 2023. Fiscal 2018 research, development, test and evaluation funds in the amount of $975,460 were obligated at the time of the award. US Army Contracting Command, Aberdeen Proving Ground, Maryland, is the contracting activity (W56KGU-18-C-0025). Northrop Grumman Systems Corp., Herndon, Virginia, is awarded a $17,985,929 cost-plus-incentive-fee, cost-plus-fixed-fee and cost-only contract for engineering and maintenance services at Intermediate Maintenance Activity, Yorktown, Virginia, in support of the Mk 48 heavyweight torpedo. The contract provides the commander, Submarine Force, US Atlantic Fleet; and the commander, Submarine Force, US Pacific Fleet with approximately 56,160 man-hours per year to operate the progressive depot-level repair facility and provide depot-level repairable management functions for Mk 48 exercise and warshot torpedoes to meet fleet operational readiness, training and tactical commitments. This contract includes options which, if exercised, would bring the cumulative value of this contract to $17,985,929. Work will be performed in Yorktown, Virginia, and is expected to be completed by September 2018. Fiscal 2018 operations and maintenance (Navy) funding in the amount of $859,537 will be obligated at time of award and will expire at the end of the current fiscal year. This contract was competitively procured via the Federal Business Opportunities website, with one offer received. 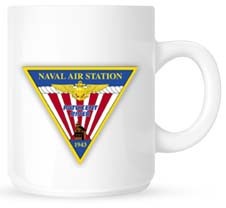 The Naval Sea Systems Command, Washington, District of Columbia, is the contracting activity (N00024-18-C-6408). Chenega Infinity LLC., Chantilly, Virginia, is being awarded a $44,923,791 competitive firm-fixed- price contract with a base year value of $7,797,019. This contract supports the Missile Defense Agency (MDA) security operations center by providing security and access control support across the MDA enterprise supporting facilities, resources, personnel, meetings, missions, and conferences both nationally and internationally allowing the agency to achieve its strategic goals. The work will be performed in Ft. Belvoir, Virginia; Falls Church, Virginia; Arlington, Virginia; Dahlgren, Virginia; Huntsville, Alabama; and Colorado Springs, Colorado, with an estimated completion date of July 2023. This contract was competitively procured via publication on the Federal Business Opportunities website with nine proposals received. Fiscal 2018 research development test and evaluation funds in the amount of $2,890,000, are being obligated at time of award. The Missile Defense Agency, Huntsville, Alabama, is the contracting activity (HQ0147- 18-C-0022). Keany Produce Co., Landover, Maryland, has been awarded a maximum $40,495,398 firm-fixed-price with economic-price-adjustment, indefinite-delivery/indefinite-quantity contract for fresh fruits and vegetables. This is a 48-month contract with two 24-month tier periods. This was a competitive acquisition with three responses received. Locations of performance are Maryland, Delaware and Washington District of Columbia, with a June 19, 2024, performance completion date. Using customers are Army, Navy, Air Force, Marine Corps, and Department of Agriculture schools. Type of appropriation is fiscal 2018 through 2024 defense working capital funds. The contracting activity is the Defense Logistics Agency Troop Support, Philadelphia, Pennsylvania (SPE300-18-D-P323).